WWDC is nearly upon us. AppleInsider takes a look at most of Apple's hardware lineup, and talks about what we might see, what we might not, and why. Apple's WWDC hasn't historically been a venue associated with a flurry of hardware releases, the 2017 one notwithstanding. Given Apple's recent focus on software technologies in health, augmented reality, and virtual reality, there is a decent likelihood that we'll see very little in the way of new Iron. Here's a look at Apple's current product lineup minus the iPhone and Apple Watch which will probably be updated in September, and what we're expecting to see from each. What says yes: Everything. Apple takes the opportunity it gets at WWDC to show developers, and the world, what's coming in the next versions of the operating system. There is absolutely nothing suggesting otherwise this year. It's not clear how revelatory the new versions will be. Previous rumors suggested that these updates will be about refining the existing versions rolled out last year. But, given that High Sierra was supposed to do that to Sierra, there's some room for discussion. Be careful about your old apps, though. At best, 32-bit apps will have "compromises" according to Apple, and at worst they may not run at all. It might be time to check which apps you rely on are, and aren't 64-bit. What says no: Nothing at all. It's basically a guarantee that the revisions are going to be presented. Like we said, they're likely to expand on Apple's burgeoning ambitions in user's health, and further expand Apple's ARKit. What says yes: After of over a following the 2015 MacBook Pro, Apple rolled out the 2016 MacBook Pro at the tail end of the year. It refreshed the line in an uncharacteristic hardware bonanza at the 2017 WWDC, after less than a year in service. And, it's been a year, so it might be time again. The updates were relatively modest, with a slightly better CPU and GPU. It seems possible that Apple will do the same at the 2018 WWDC to hit the "back to school" period. 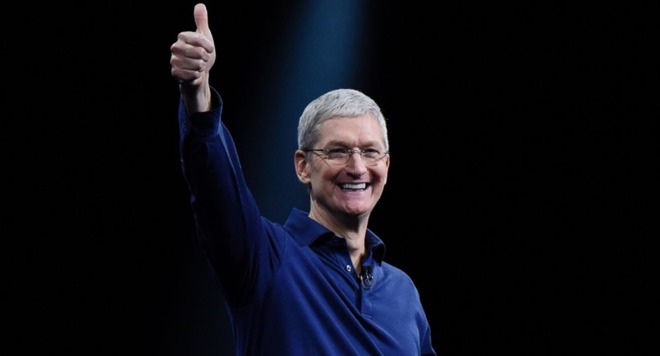 What says no: There isn't a compelling engineering reason for Apple to do so today. Instead, it could wait until later in the year or January 2019 for Intel's chipset that will allow 32GB of LPDDR4 RAM —as the existing ones can't have more than 16GB of RAM without switching to a more power-hungry chipset. But then again, this chipset from Intel is two years late already. Apple may not want to wait. What says yes: A slew of filings from overseas regulatory agencies suggest that there are iOS devices imminent. Couple this with the last update to the product being a year ago, and the iPad Pro line seems ripe for a refresh. Time marches on. The 2018 sixth generation iPad is very close to the 2017 iPad Pro lineup in speed, minus some hardware niceties. It might be time to open that lead with a new A11-based processor in the iPad Pro. What says no: Generally, we've seen suggestions from the supply chain and rumors popping out beyond regulatory agency filings that a new model is coming. This year, there's been none of that, and a recent report seems to suggest the same. What says yes: It's been more than a year between updates for the heir apparent to the MacBook Air's previous place in the lineup. Couple that with new Intel processors that bring a slight bit more speed for the same cost, power, and thermal footprints, and the time seems ripe for a MacBook update. What says no: Again, there may not be a compelling engineering reason to do so. The new processors aren't a lot faster than the old ones, and don't have better graphical performance. So, Apple may wait, the same as it did when it waited to roll out the refreshed MacBook Pro in 2016. A report on Thursday suggested that the hardware wouldn't make it to WWDC, but there's nothing that firm behind the report. What says yes: It's been a really long time since Apple did anything with the MacBook Air with any weight behind it. It had a quiet update in 2017 with slightly faster specs, but that's it. 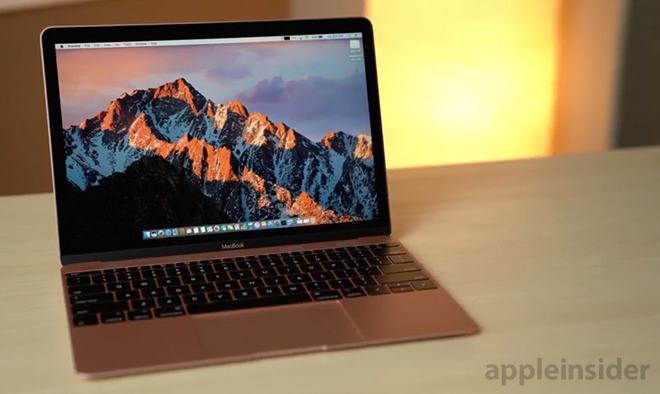 A rumor suggests that the MacBook Air will get a Retina Display update, but that seems improbable given that the MacBook already has one, coupled with Apple's thinness obsession. 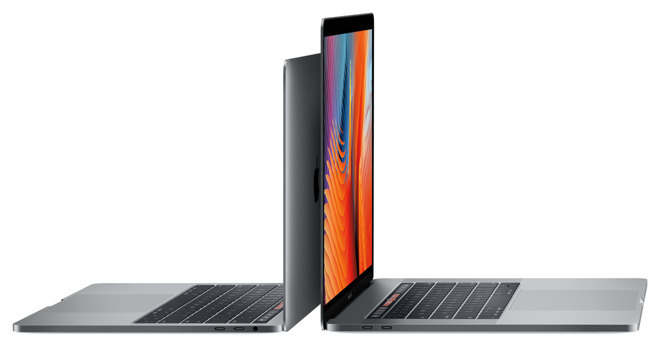 What says no: It's pretty clear that the MacBook is Apple's intended successor to the MacBook Air's position in the lineup. It's only a matter of time before the product is killed, or turns into something else —but more on that a bit later. What says no: As with nearly everything else, the chips that Apple might shove in the iMac 4K aren't much faster. A possibility exists that Apple may opt for the i9 six-core processor in the iMac 5K, but then it would be pushing into iMac Pro performance —and cost —territory. This all said, could we get a better GPU in the iMac? Just asking. What says yes: Very little, other than the fact that it was unveiled a year ago. What says no: The iMac Pro was actually released until about seven months ago, and it brought with it advanced processors that blow the doors off of anything else in the Mac lineup. There really aren't newer processors that Apple might want to include in the iMac Pro, so we're not expecting a major refresh of the line just yet. An update by the end of the year is possible, given Intel's road map —and assuming the chipmaker meets its goals for what seems like the first time in a decade. We're just not expecting Apple to address it at WWDC beyond how much they like it, and how well it's been embraced by the "Pro" user. What says yes: Apple might mention it in passing as coming in 2019. But, it seems improbable that given that the machine is at closest 7 months away, and at most, 19, that they'll talk specs or tease design. What says no: Apple went out of their way earlier in the year to say that the Mac Pro was a 2019 product. It may not get mentioned at all, given that the focus at WWDC has historically been software. What says yes: Less firmly in 2019 are Apple Pro displays. Apple is pretty clear about wanting to make inroads in with Apple-branded "Pro" products, and anything they release now would be able to be be used with the current product lineup. The less said about the rocky USB-C LG 4K and Thunderbolt 3 LG 5K display rollouts the better. What says no: As with the rest of the hardware on the list, generally the rumor mill has spotted a prototype here or there by now. There's just nothing floating around. What says no: It has literally been years since the last update suggesting that the product in its current form is dead as a doornail. Apple executives say that the Mac mini is important, but they sure don't act like it. As you expect, we have thoughts on the matter. WWDC has recently not been a hardware event. The 2017 WWDC was an unexpected hardware bonanza the likes of which hadn't been seen for many years. But, there are changes coming in the future. 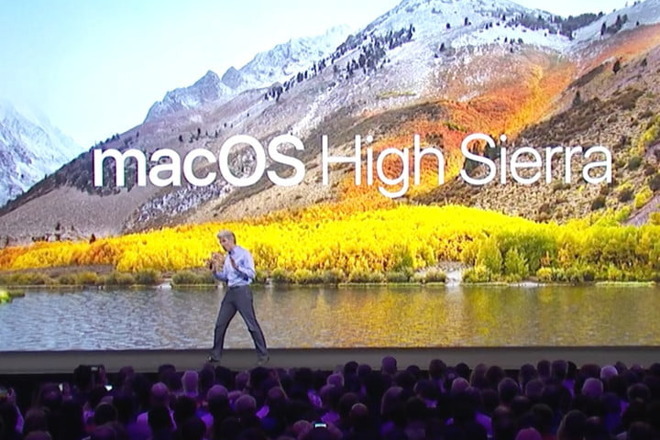 If there is anybody reading this that thinks that Apple doesn't have a version of macOS running on ARM processors, I'm not even sure what to tell you. It's coming, it's inevitable, if for no other reason to break the shackles of Intel's missed deadlines the way it did when it shifted away from PowerPC to Intel in 2006. The question is when, and on what platform? Apple already has the ultimate migratory tool to make the transition easier in Xcode, and there are suggestions that this technology is well underway. In all probability, it will come to the lower end of Apple's hardware spectrum first, in a MacBook Air, MacBook, or Mac mini, and will migrate up at a later time. Apple's HomePod doesn't really need a hardware refresh annually, unless they decide to deploy a smaller or less expensive one. It's hard to envision that scenario this year, given that the core HomePod itself hasn't even seen a holiday season yet. While we will likely see software updates to the HomePod improving Siri, it's also probably too early to see a widening of access to the HomePod's hardware for developer access. As far as "one more thing" goes, that seems improbable this year. Prior to the 2017 rollout of the HomePod, there was about six months of rumors building up to it, with the focus narrowing in on the final product well before it actually was shown. This year, there is shockingly little. The "iPhone SE 2" rumor mill continues to churn, and there are discussions about the 2018 iPhone lineup and that's about it at present. From a rumor standpoint, there are far fewer so far this year, versus the last five years. Other than a questionable report talking about an ARM-based macOS device in the early stages of evaluation, there just doesn't seem to be anything surprising and new behind Apple's curtain —at least for WWDC. AppleInsider will be in San Jose all week with the latest news from WWDC 2018. Stay abreast of Apple's announcements by downloading the AppleInsider app for iOS, and follow us on Twitter @appleinsider and Facebook for live, late-breaking coverage. You can also check out our official Instagram account for exclusive photos from the event.